One thing you can be sure of, our goats are well loved! Our herd consists of registered Nigerian Dwarf does and bucks. We have found that the Nigerian Dwarf breed is a good fit for our family and farm needs. They are on the smaller size of the goat population. Kids are born only weighing a few pounds and usually max out to 70-75lbs. 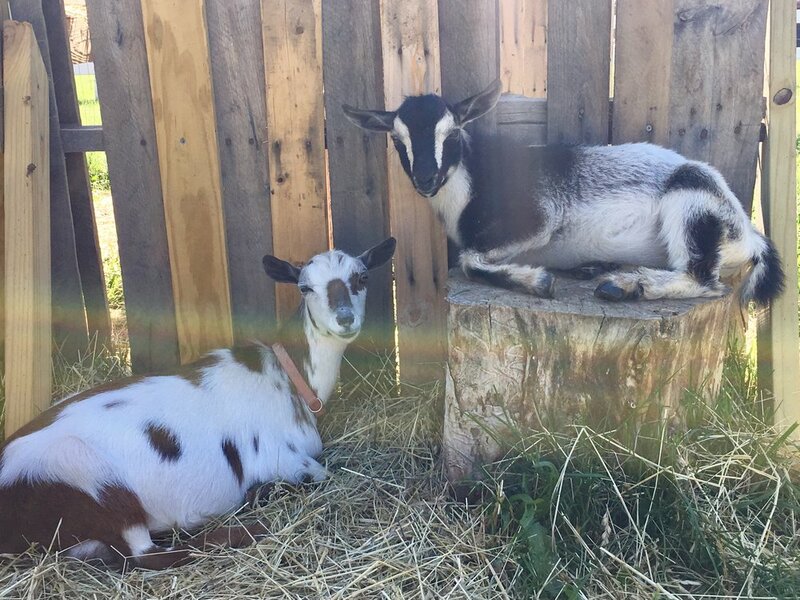 The most commonly asked question about Dwarf goats is: What is the difference between these and Pygmy goats? Although they have similar origins, they are separate and distinct breeds. Pygmies are bred to be "cobby" and heavy boned. (The best pygmies look like beer kegs with legs.) Dwarves are bred to have the length of body and structure, in proportion, of a dairy goat. Dwarf goats come in many colors. Main color families are black, chocolate and gold. Random white markings are common, as are spots and other color combinations such as red, white, gold and black. Color is one of the BIG factors that makes breeding Dwarves so popular. You never can be sure what color the babies will be until they are born; even then you can't be sure because many times their color will change. A major bonus of having Nigerian Dwarf goats is that they are very personable and loving! They are very social and love to be around people! This helps tremendously when there are lots of visitors to the farm. They are great to have around kids! 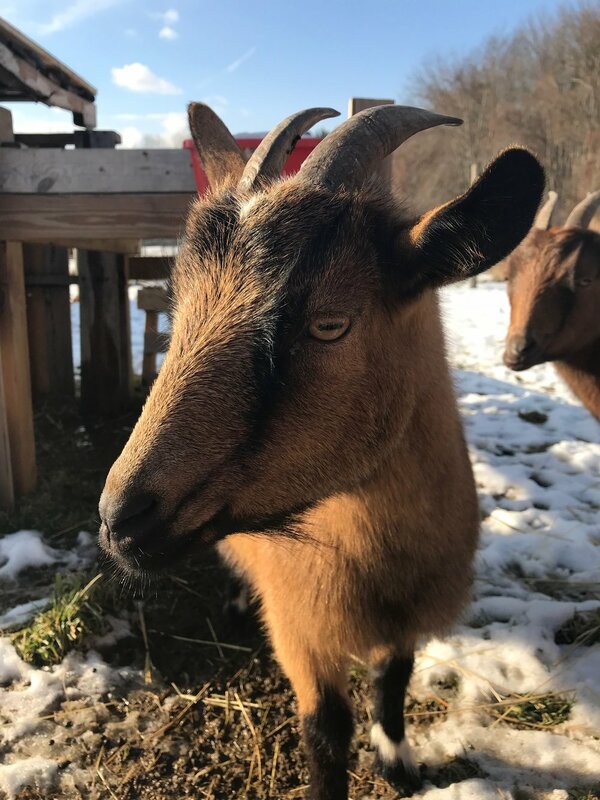 Among the dairy breeds, Nigerian Dwarf goat milk has the highest levels of butterfat, making it so creamy that it’s often preferred over cow’s milk. Nigerian Dwarf milk has approximately 6 – 10% butterfat, as opposed to approximately 2 – 6% for other breeds. Since butterfat is what gives milk its sweet flavor, it’s the sweetest, richest milk of all the dairy goat breeds. 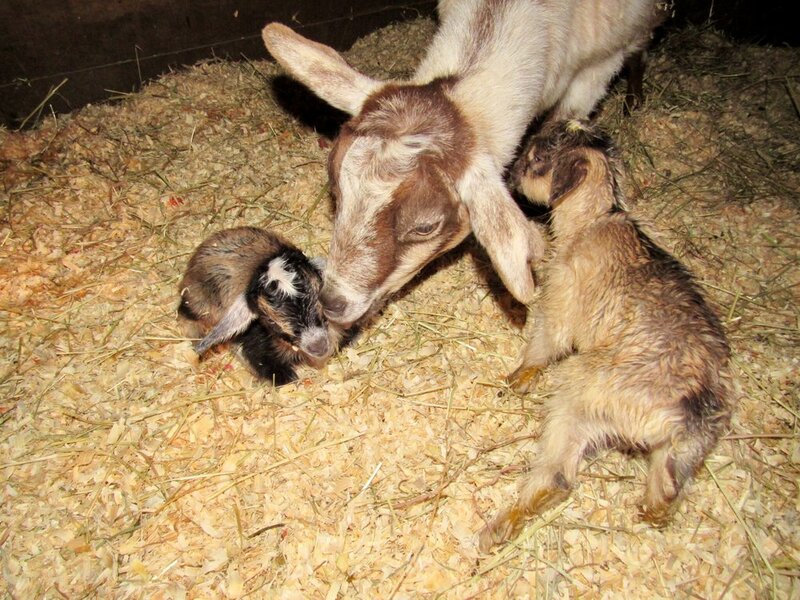 There is a great article on why to choose Nigerian Dwarf Goats for milk at Better Hens and Gardens! Check it out here! Because their milk is so rich, adding it to our handmade soap makes it all the better! You can find a variety of our handmade goat milk soaps by visiting our "Soap" menu or by clicking here! Several years ago, my husband and I dreamt of a day where we would have our own farm. He always told me, "someday...". Well that "Someday" came and here we are, located on a 10 acre farm in the "quiet corner" of Connecticut. Small town living at it's finest. Here, we are able to enjoy the scenery, the wildlife, and get it our best shot at being farmers.